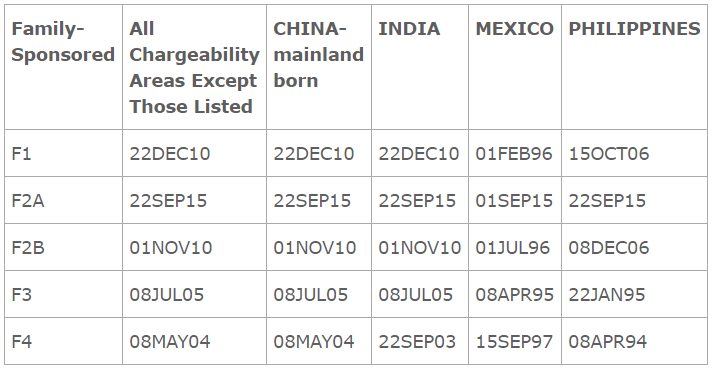 As we approach October (when the annual limits on visa availability are reset), the Department of Labor has had to institute priority date cutoffs for previously-current categories, notably for all EB-2 categories. In addition, USCIS has confirmed that all prospective applicants should continue to reference the Final Action Dates chart for August. Family-based applicants should consult the Final Action Dates chart for August (see below). Employment-based applicants should also consult the Final Action chart for August (see below), which saw some forward movement in already-oversubscribed categories (e.g. EB-3 India, which moved forward 4 months from the July Visa Bulletin). However, previously-current categories, such as EB-2 “All Other” saw priority date cutoffs established. It is likely that EB-2 categories will see significant forward movement in October (see the note from the DOL in the “Forward Guidance” section below), but may be static in September. 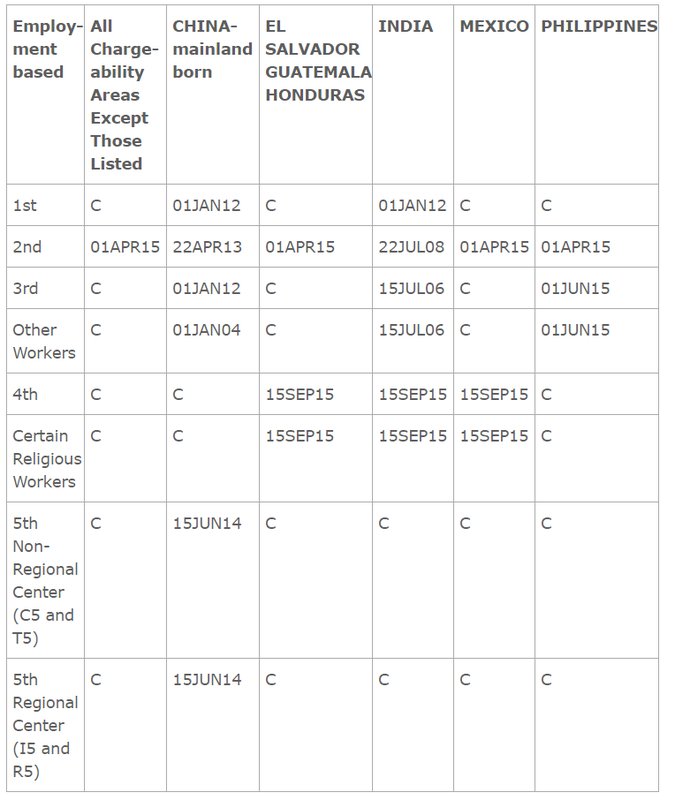 WORLDWIDE, EL SALVADOR, GUATEMALA, HONDURAS, MEXICO, AND PHILIPPINES Employment-based Second (E2) Preference category: Readers were advised in item D of the May Visa Bulletin number 6, that it was likely that a date would be imposed at some point. High demand for numbers for USCIS adjustment of status applicants has required the establishment of a date for August. This action will allow number use to be held within the Worldwide E2 annual limit. The E2 date for these countries will once again become CURRENT for October, the first month of fiscal year 2018.